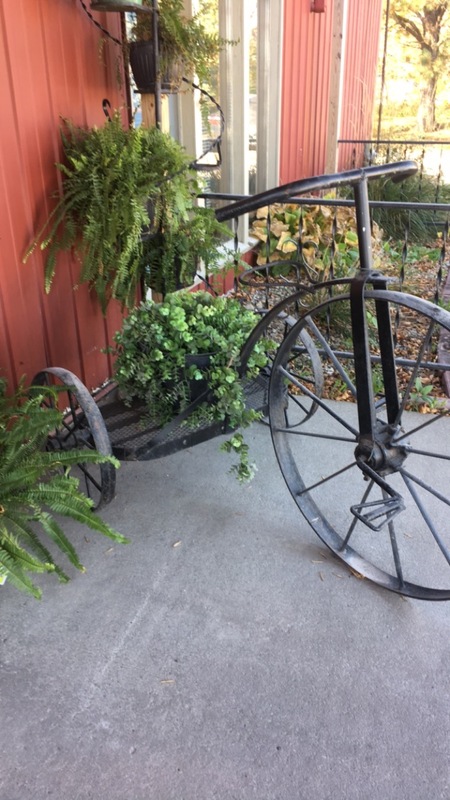 October 24th marked my friend Sara’s first Wine and Junk Run hosted by her shop SW Iowa Primitives, Antiques and Furniture. 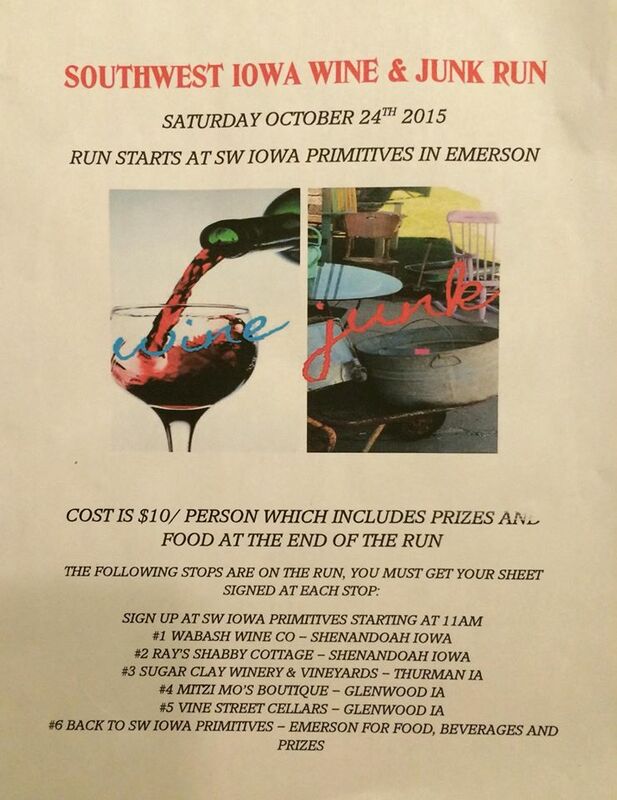 What exactly is a Wine and Junk run you ask? Similar to a Poker Run where you pay an entry fee, receive a flyer of participating stops where you either draw a card or receive a stamp to mark your attendance and slowly make your way back to Stop 1 where there is typically food, drink and prizes. 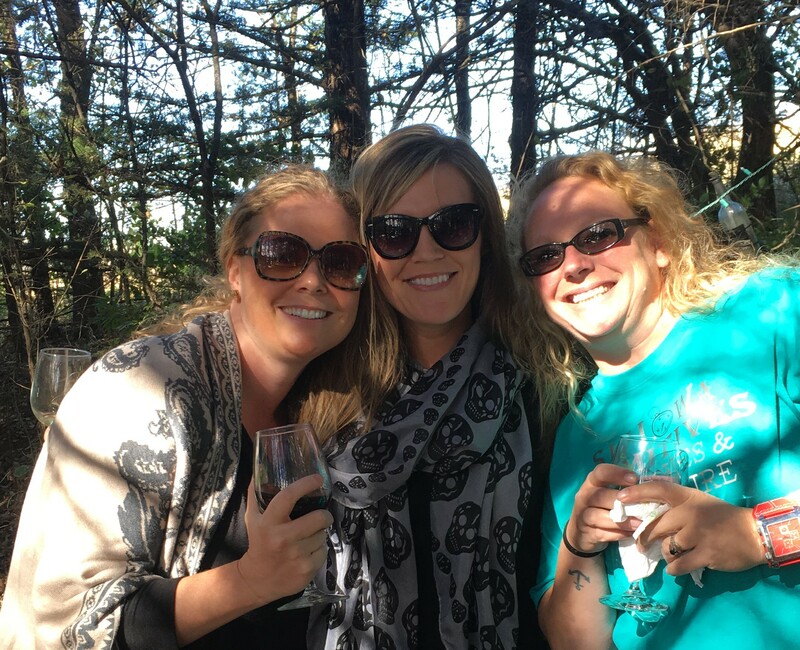 They are a great way to fund-raise money typically for a great cause and always a guaranteed good times with friends and new friends you make along the way. 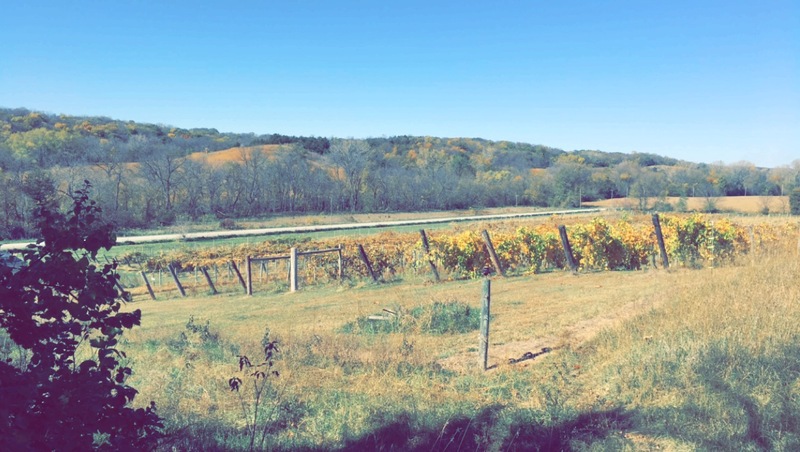 This particular run consisted of vehicles and stops at various Primitive and Antique shops/boutiques and a few wineries. Jessica and I made our way down from Omaha at 10am to catch the 11am signup and were well on our way by 11:30am. Oh what a day we had. 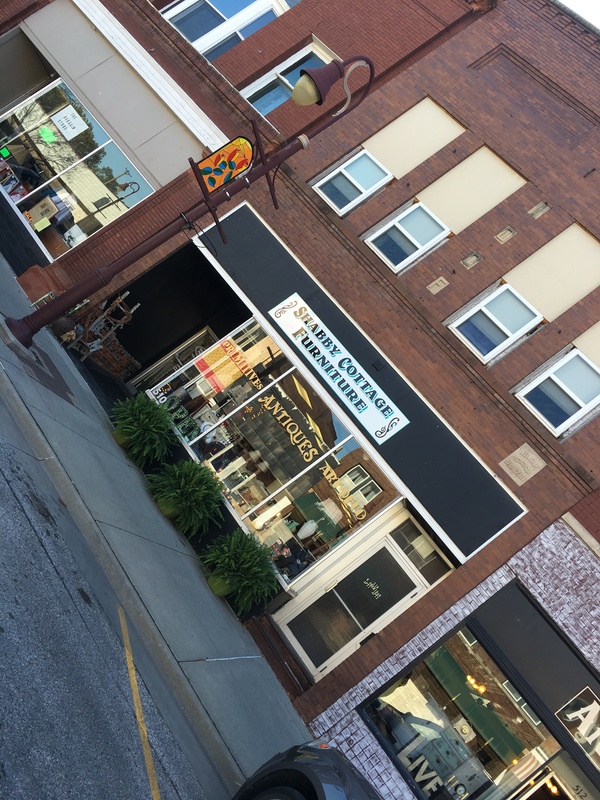 This location has been open for 10 years and now includes a restaurant. We stayed for wine sampling of 5 different wines, all of which were either sweet red or whites. No dry for me! 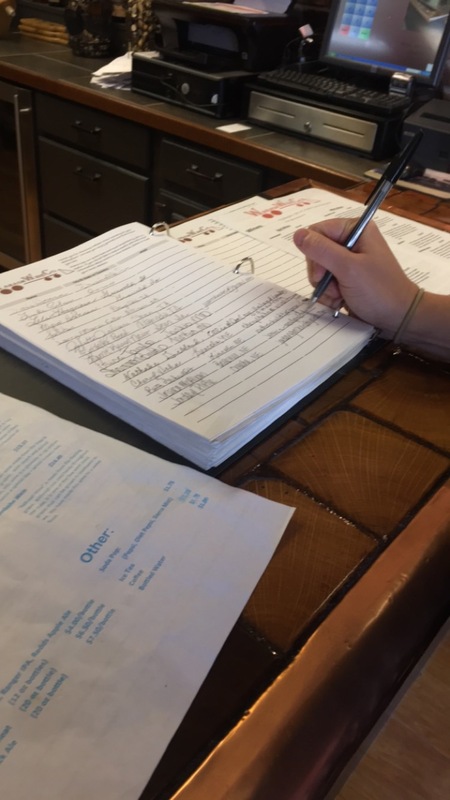 Jess bought a bottle of sweet red, we signed the guest book and made our way out to Stop #2! 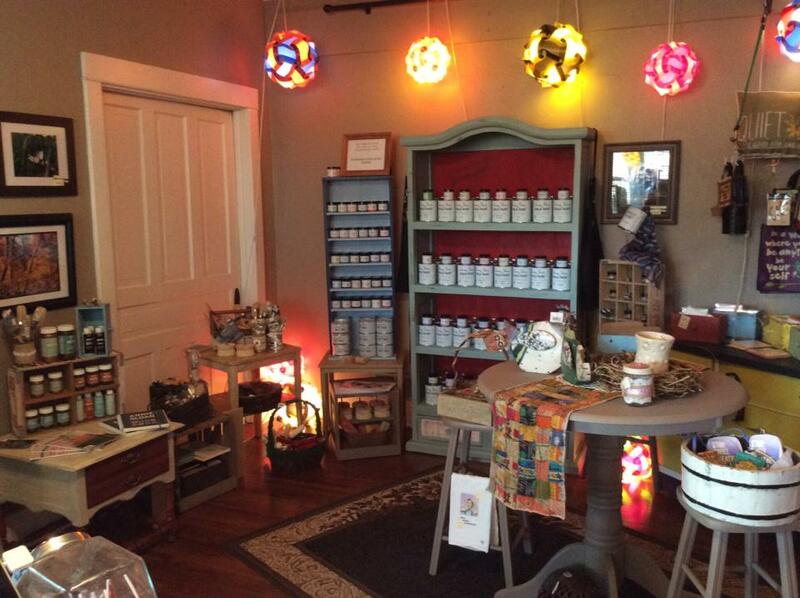 A lot of neat furniture pieces and many other goodies can be found at Ray’s. 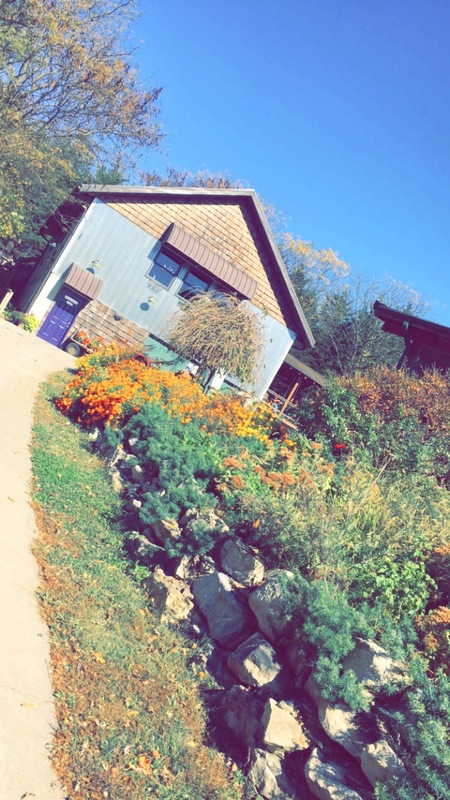 Definitely check out their facebook page (linked above) or stop in if you are near Shenandoah! Stop #2.5 Emerald Isle and a random school house. 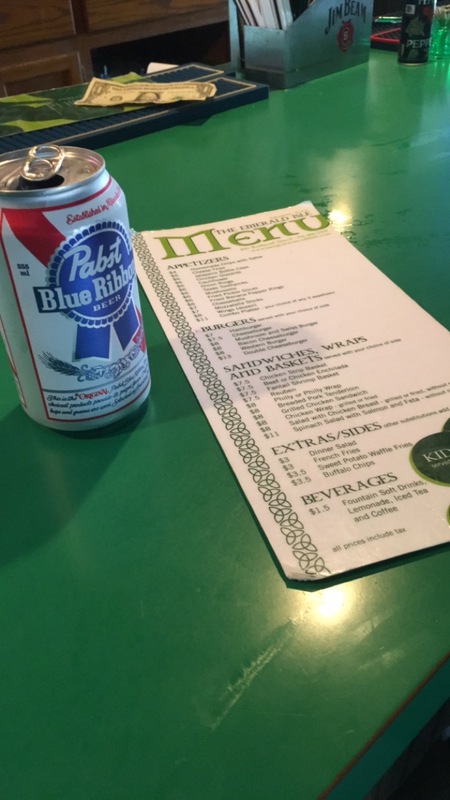 Because we wanted a beer and a bite to eat. 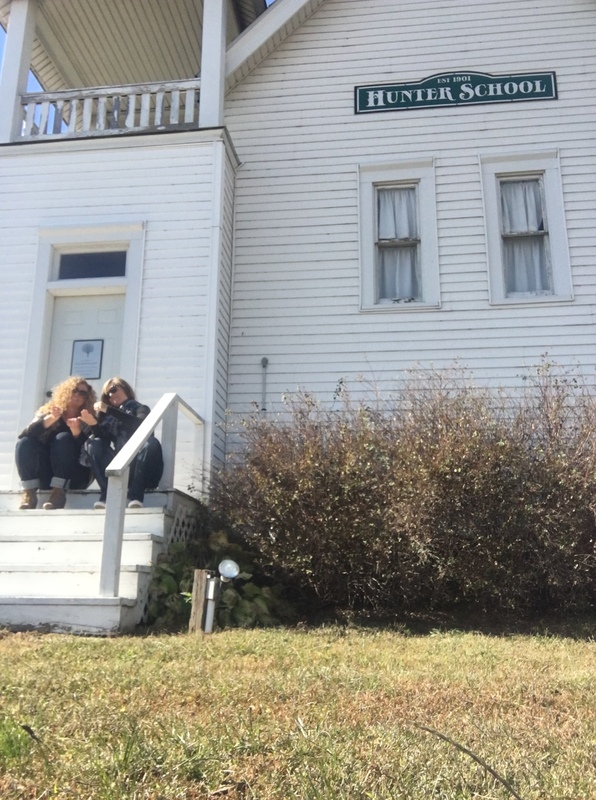 As for the school house stop, don’t ask. Does there need to be a reason other then we are just a bunch of kids at heart with random ideas for entertainment? 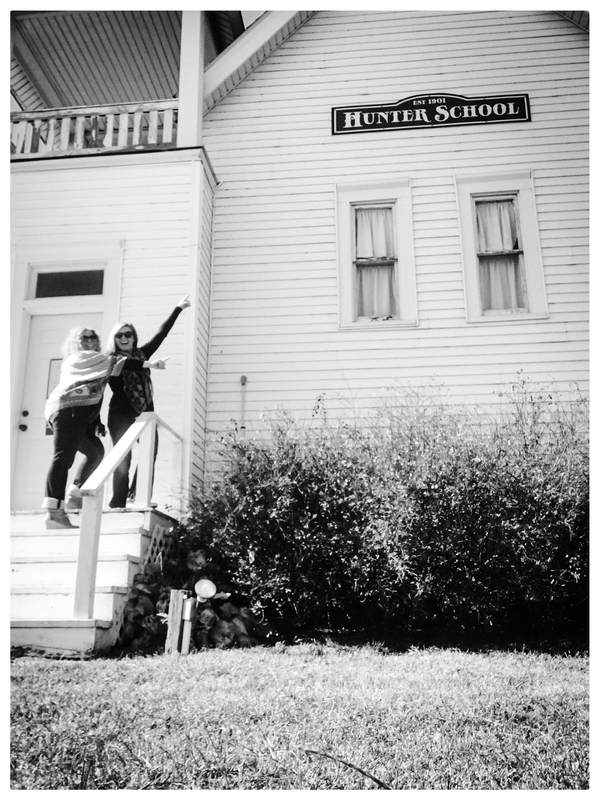 Plus, Hunter is Jessica’s niece. We thought it was fitting. 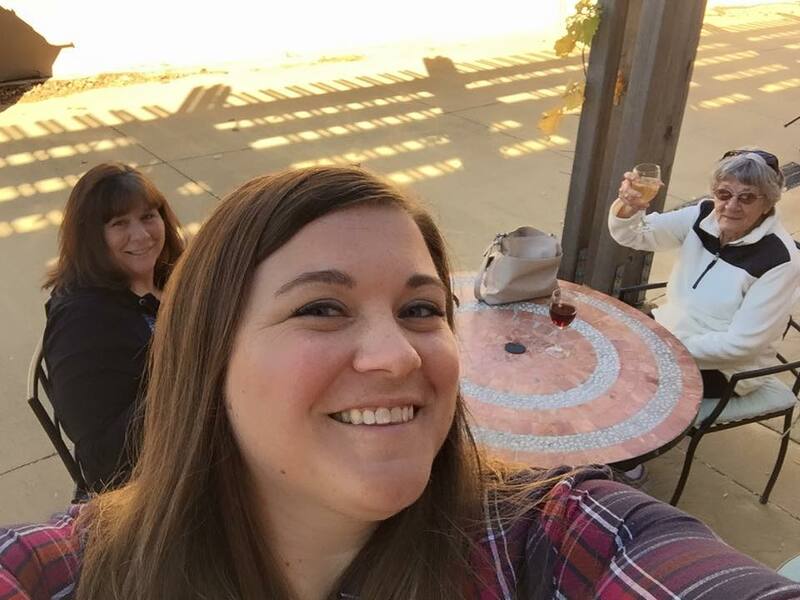 We definitely had the most fun at Sugar Clay Winery in Thurman, IA. Beautiful location, friendly and accommodating owners, fairy-tale like setting. The perfect package for an afternoon with girlfriends. 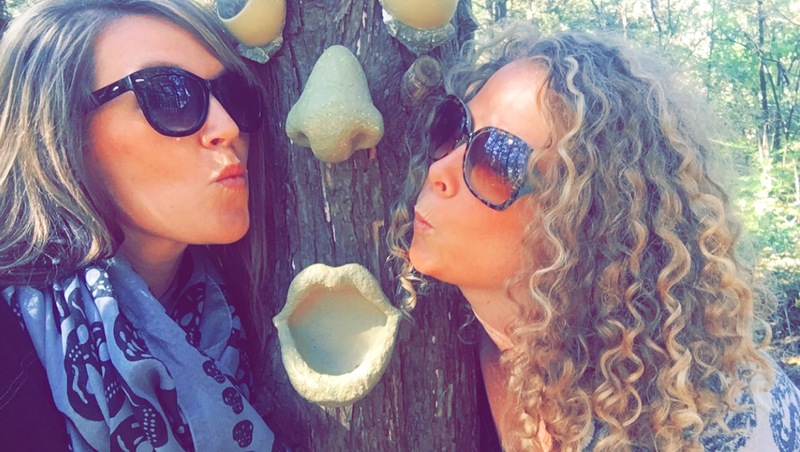 Because who doesn’t love a good tree huggin’? 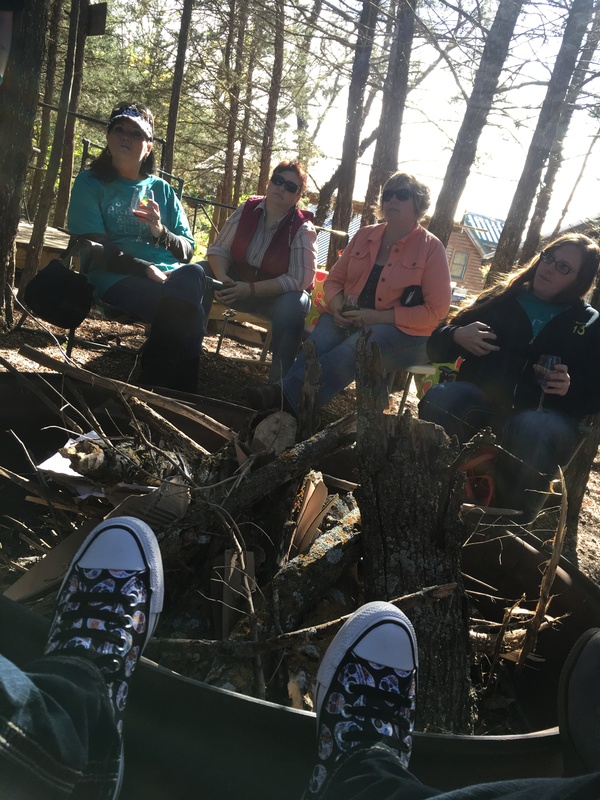 We sat around an imaginary camp fire and enjoyed everyone’s company, despite the looks of pure un-enthusiasm from this crew. 😉 They were having a great time, I promise. 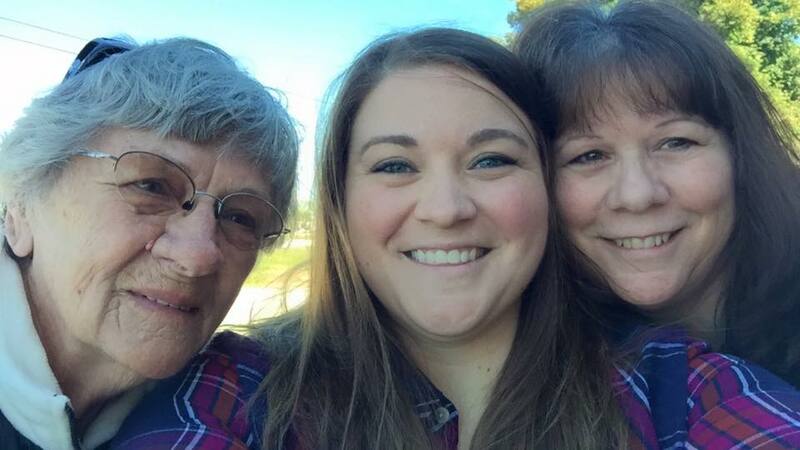 Ms. Sara, Jess and I. We spent a solid amount of time here, proof in the off the wall photos. And then it was time to move on to Stop #4. 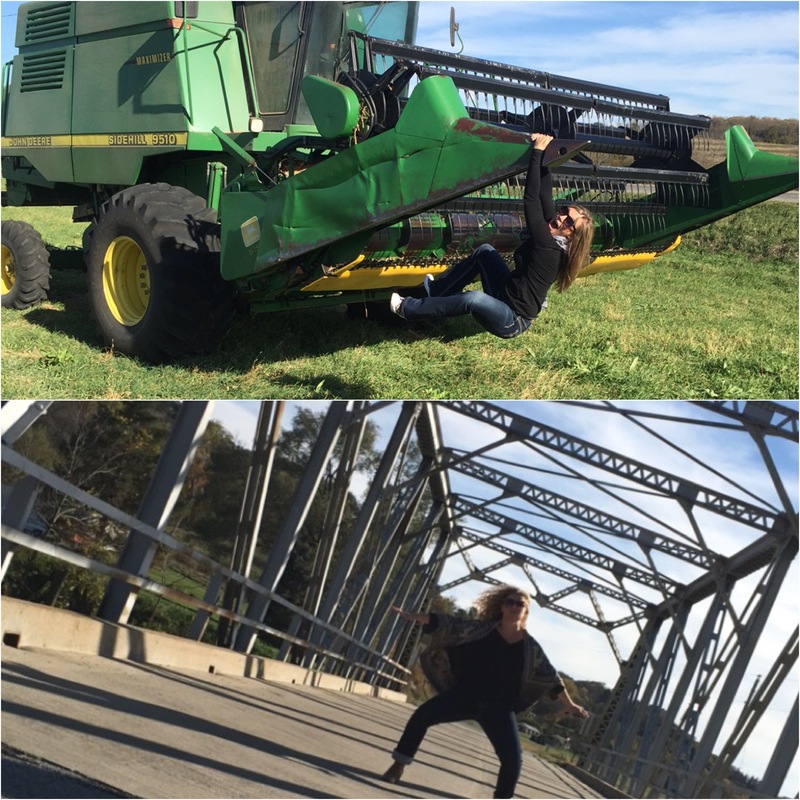 …but not before we paused briefly for some senior photos. Again, don’t ask. We do what we do and that’s reason enough for us. The last stop took everyone back to Emerson for some delicious food cooked by Troy and Sara as well as prizes and fun for all involved. Jessica and I were unfortunately unable to make the stop due to a Halloween party and costume change I had on my agenda, however, the entire day was a success! 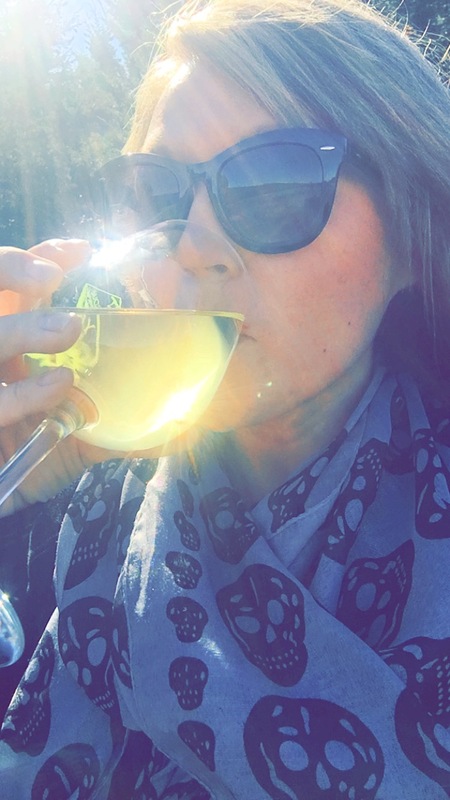 Rumor has it Sara is making next years run even bigger and better with more stops at shops and wineries. Make sure to join in on the fun next year! 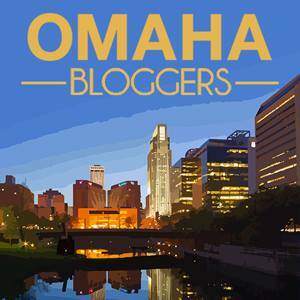 There seems to be a lot of pins, posts, blogs out there about organizing your life and home. Some of them are genius… while others require so much ground work it isn’t even worth the time. 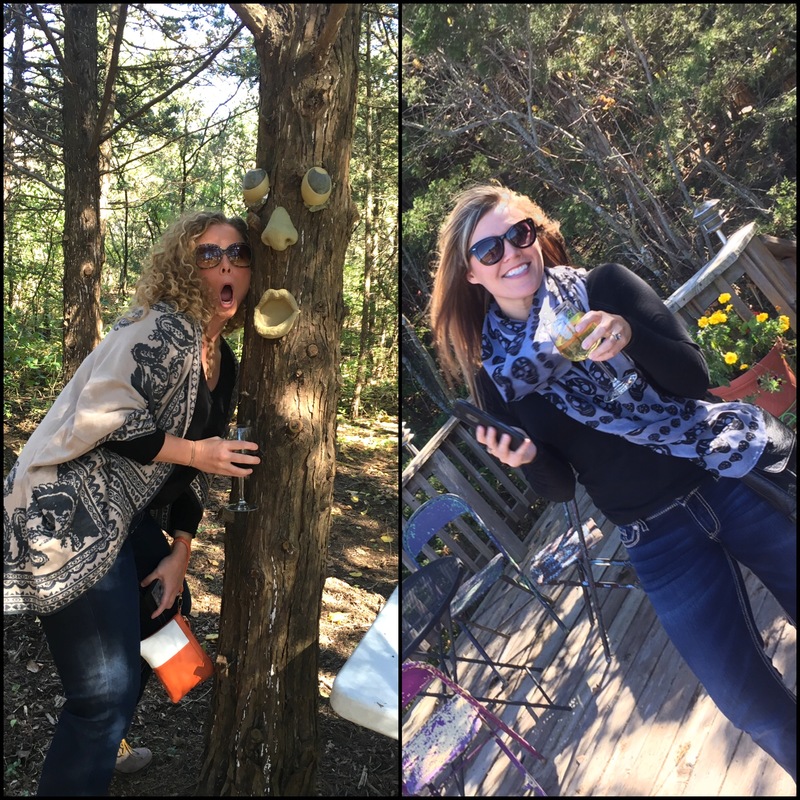 I thought I would share just a few things that I do in my home that work for me! Maybe you already do something similar (because they really aren’t that ingenious) or maybe you have something better! I’d love to hear, so share any tips you have that seem to work for you! 1. 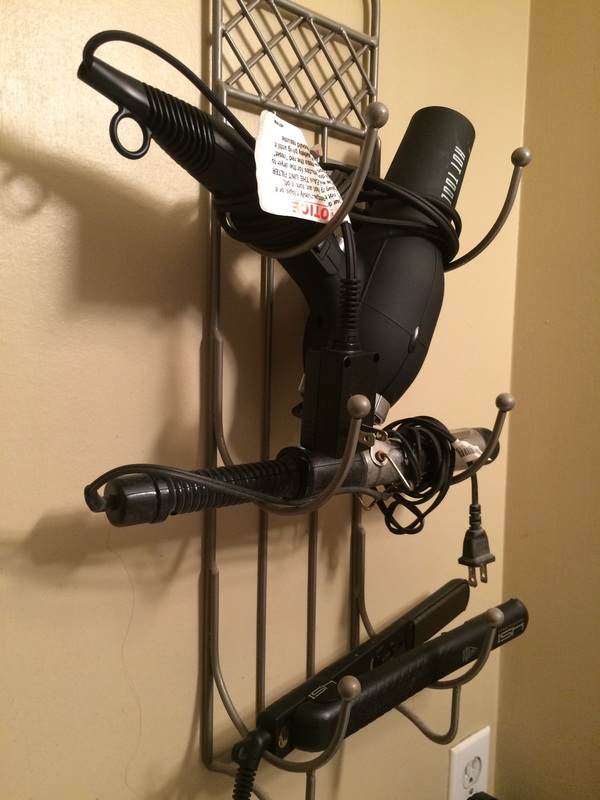 Towel rack for my hair dryer, curling iron and flat iron. Easy to store, easily accessible and I don’t have to wait for the irons to cool down before putting them away. Score! 2. Container for hair products. I hate having hair products all over the counter. 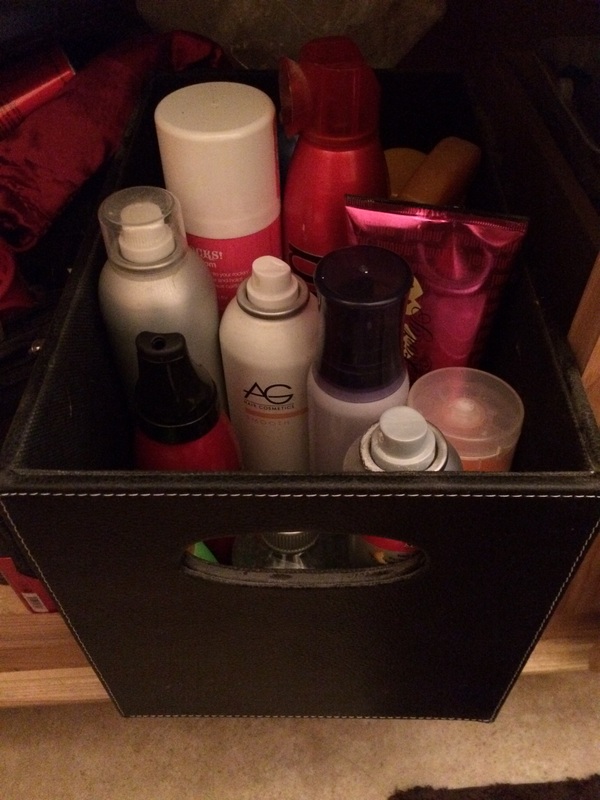 The only one I tend to leave out is my hairspray, otherwise, they all go in a tub under the sink. I can easily pull them all out at once, use what I need and put it all back. Who doesn’t lose their chargers, earphones, extra cords, etc on the regular? 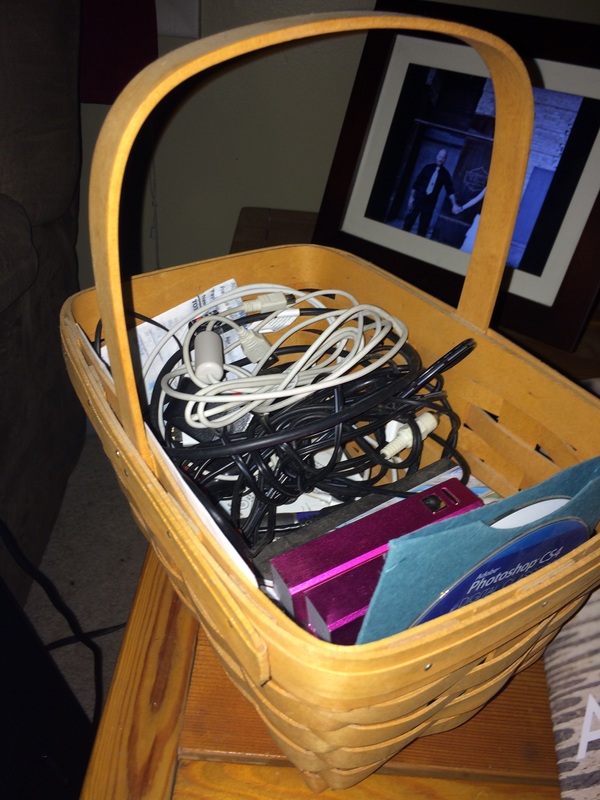 I have kept all my extra tech gadgets, chargers and cords in this basket for years! Haven’t lost any of it yet! 4. Dress pant hanger for tanks and cami’s. I HATE digging through drawers for stuff like this. Let’s be honest – most of the time the garments never make it back in the drawers once they are out. Nope! 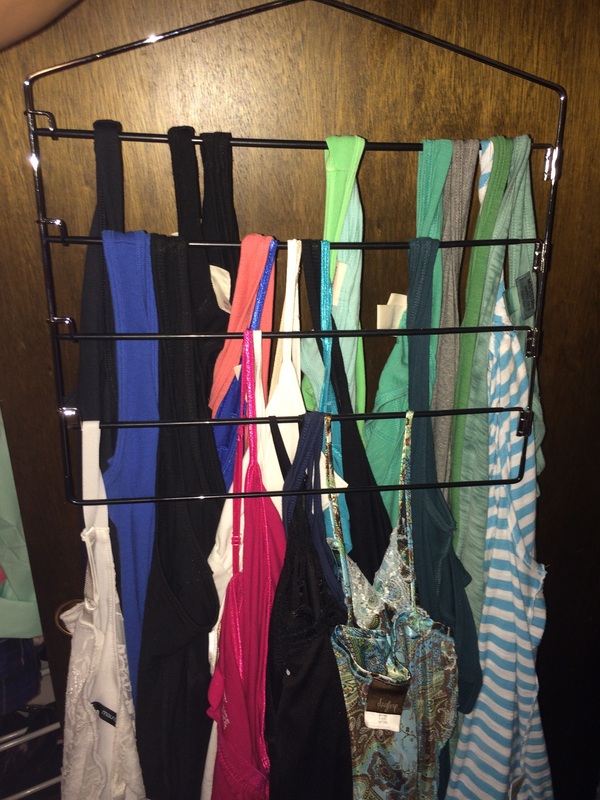 This pant hanger works great and it hangs right alongside my shirts in the closet. I found this on Etsy a few years back and just LOVE it. Holds my necklaces and earrings. 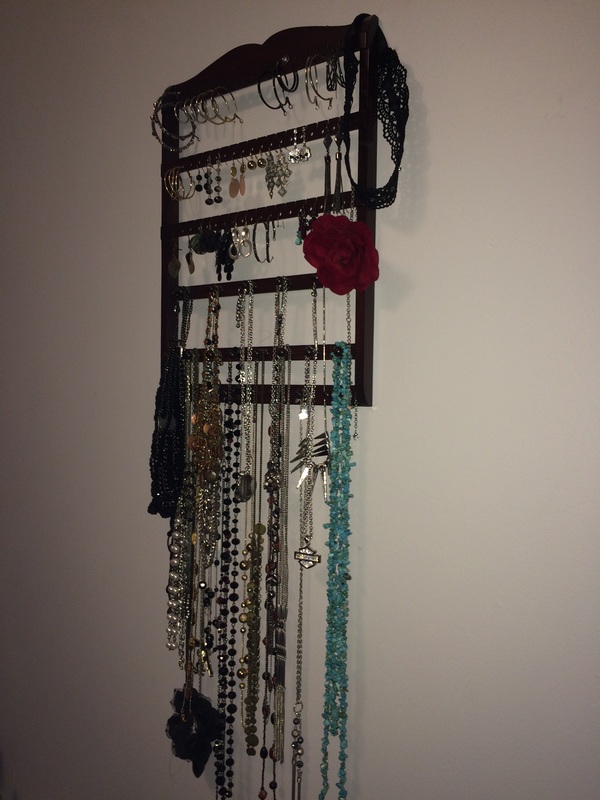 I have a bracelet stand too, I just didn’t take a pic of it. Ladies, don’t use those old school jewelry boxes. Hello tangled mess! 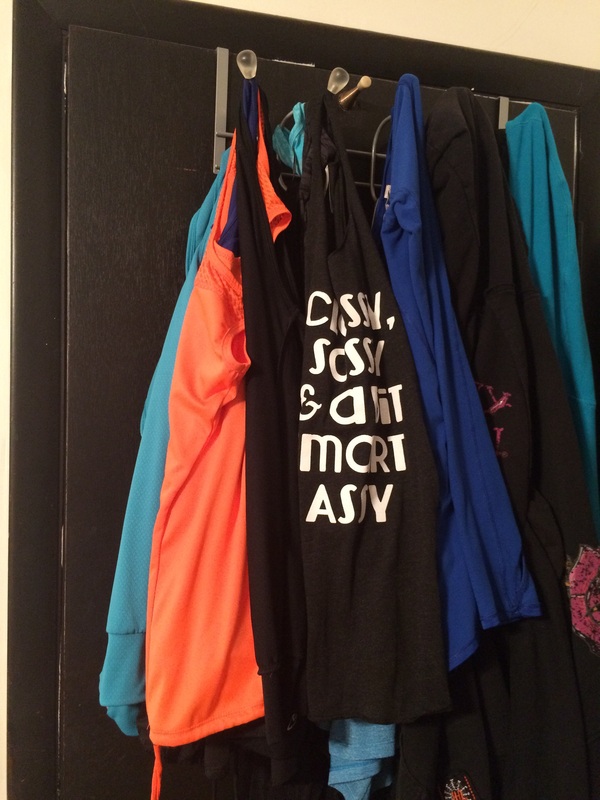 All of my workout tank tops go on the back of my bedroom door. For as often as I teach and hit up the gym, I like to have these tanks as easily accessible as possible. I’d say I achieved it! Simple Life Hacks that make my day to day so much easier. Do you ever go test drive a car for fun? I think quotes are necessary. Because, in my case, it is never JUST for fun. It always leads to a purchase. Wait, timeout. I am being rude. Hi! I’ve missed you. December 10th is the last time I logged into this little ol blog. LIFE has been crazy awesome. Haven’t taken the time to sit and write at night, nor have I had any time to really bake, cook, watch a movie, watch TV. Whew! It’s been a whirlwind December so far, and I’ve loved every second of it. Now, it’s time to get back to a little nonsense writing for my silly little blog. My good looking hubs and I took off around 7:30 this morning to head up to Blair for some business purposes. 10 hours later, a trip back to Omaha, lunch, a trip back to Blair, one “fun” test drive, one “for real” test drive, some serious negotiating and I am now the incredibly PROUD owner of this little black beauty. Yep… so long little white Jeep Grand Cherokee. I know we’ve only been friends for 14 months, but I just never really liked you. You were too boring for me. Such a wonderful vehicle you were, and such a wonderful vehicle you will make for someone else… but THIS girl wanted something a little more edgy. A little more badass. Jeep Wrangler Sahara. Blacked out. And just OH… SO… COOL! I can’t wait for summer time when I can remove the roof of this gem. 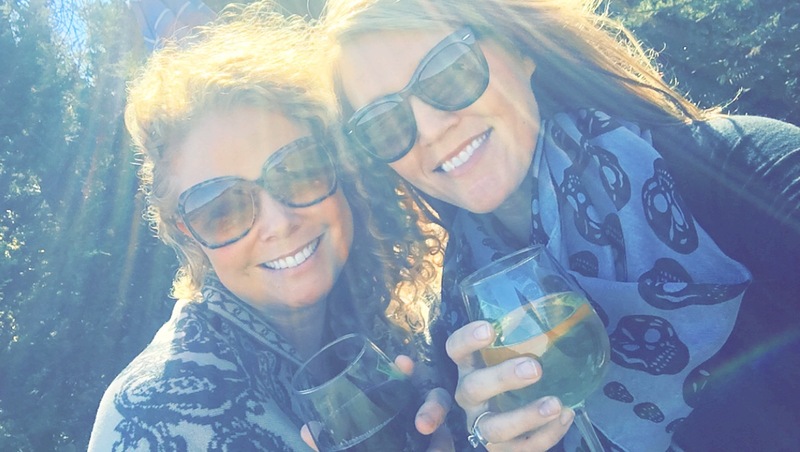 Car shopping with the husband – always equals a new car. I should have known better. But, I have been eyeing Jeep Wrangler’s for quite a few months now. Didn’t think I’d get one so soon, but when you get a screaming deal, you can’t let it pass you by. And trust me when I say, we got a helluva deal. No way would this have been coming home with me without it. Until that payment starts in two months…. Now, to just figure out how to keep a black vehicle clean. I’ve only had white vehicles since 2006. This could get interesting.